Welcome to Air Flair where we provide professional balloon decor for every occasion. We are based in Shrewsbury, Shropshire and can transform your Wedding, Party or Corporate Event venue with balloons, using only the highest quality products. 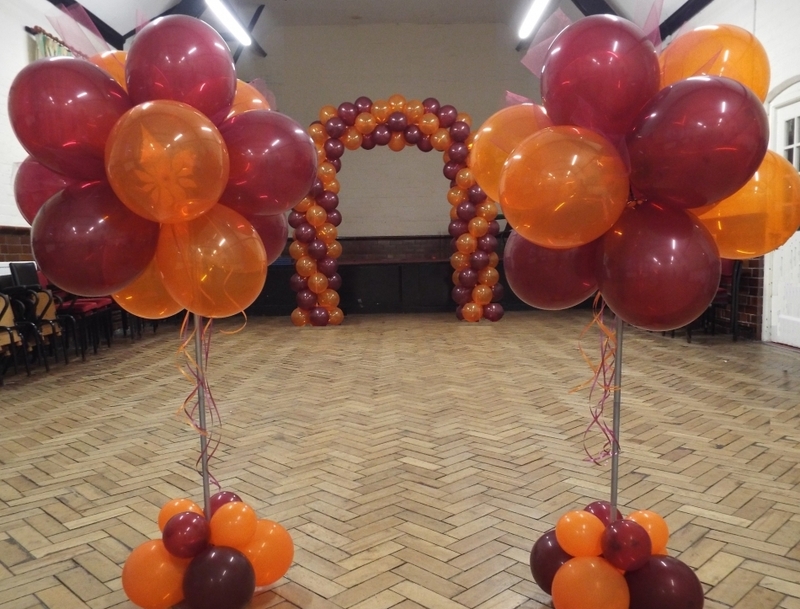 All of our eye-catching and versatile balloon arrangements will be delivered and assembled at your event venue by our friendly, trained team leaving you to enjoy the occasion. Balloons are a lower cost alternative to flowers, and are just as colourful and flexible for a wedding or special occasion. They can fill space, guide guests to key areas of the venue and make a statement. They draw lots of attention, and can be a powerful and cost-effective marketing tool for businesses and charities. Air Flair have had the pleasure of providing decor for businesses including Sainsbury’s, Avon, Salop Leisure and Greggs. We have also decorated village halls, marquees and churches, and for parties at venues including Rowton Castle, Shrewsbury Town Football Club, Albrighton Hall Hotel, Pimhill Barn and Sabrina Boat on the River Severn! Air Flair was established by Kate Downward who was inspired by the balloons at her own wedding more than a decade ago. She has since recently trained in professional balloon decor, first completing a nationally run practical training course. Following this Kate studied for her Qualatex Balloon Network (QBN) Business Membership, passing all three exams and gaining Air Flair’s status as a QBN Business Member. Air Flair is also a member of NABAS (National Association of Balloon Artists and Suppliers) and is fully insured to undertake balloon decor work at venues. Prior to establishing Air Flair, Kate gained a public and private sector business degree at Aston University, and then spent 12 years undertaking external financial audit of our Local Government, Fire Authority and NHS services in Shropshire, before fulfilling a long standing ambition to launch this business that allows her to direct her energy in a creative direction. And so at Air Flair we aim to provide great service and beautiful balloon decor which you will love. Contact us today and see how we can transform the look of your event!